Who knew paradise was only 2 1/2 hours from New York City? I had heard great things about Turks and Caicos, but this is truly a destination you have to experience to believe. Sparkling white sand, turquoise waters and a cold drink in your hand by lunch time if you catch the early flight. Home to the “Best Beach in the World” Grace Bay is worth far more effort to get to than I put into it. That I woke up in chilly Connecticut and napped by the pool after lunch should actually be illegal. My husband and I were looking for an easy get away for our anniversary. Though we had heard of Turks and Caicos, we didn’t have many friends who had actually travelled there. It remains remarkably underdeveloped (I can only hope it stays that way). We were hosted by The Somerset which is one of the most gracious and elegant properties on the islands. The Somerset is one of the Small Luxury Hotels of the World. I love small, I love luxury and I love this property. They have 53 suites ranging from one to five bedrooms. Most of the properties on Grace Bay, including The Somerset, are largely privately owned. Why is this fabulous? You don’t have to fight for a chair at the pool, pay for a lounge at the beach or even beg for dinner reservations at the best restaurants. 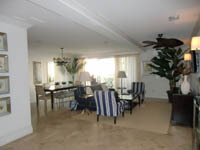 Grace Bay is my idea of ultimate luxury, it’s quiet, it’s beautiful and it’s stress free. I’ve set my alarm far too early on some “luxury” vacations so that I can snag a chair by the pool before they are all gone. The beauty of The Somerset, and Turks and Caicos in general, is that it’s not only stunning, it’s also criminally easy. My favorite activity on this trip happened to be napping, but for those of you looking for something more, shall we say, energetic, there are plenty of opportunities. There is scuba diving, kiteboarding, windsurfing, snorkeling, fishing and more. We are returning for spring break with the whole family, I know I won’t be napping then so I plan to give a few of these a whirl. My second favorite activity was eating (it usually is). For such a tiny island, there were several fabulous restaurants. Though the island is decidedly low key, the food offerings are incredible. We enjoyed our anniversary dinner on property at The Somerset’s own O’Soleil restaurant. Decorated in white leather with more chandeliers than Napoleon would know what to do with, it’s high style and the food is as great as the decor. For more local flavor I recommend Coco Bistro. Dine al fresco tucked under palm trees lit with tiny white lights and skip lunch, you’ll want to eat everything on the menu. The most fabulous meal to be had though is definitely at Anacaona at The Grace Bay Club. It’s the only oceanfront gourmet restaurant on the island, it’s adults only (a beautiful thing) and the cuisine is beyond amazing. Of all the beach destinations I’ve been to (and there have been many), Turks and Caicos ranks number one for beauty, relaxation and ease. I loved it so much we’re actually taking all four children for a trip, somehow I’m thinking it won’t be quite the same, but I’m looking forward to it more than I can say. I love Turks and Caicos too. And, unlike you, I had to work very hard to get there from Chicago, including a miserably long layover in Miami with a bored 10-year-old. But it was oh so worth it when we arrive. We stayed at the Beaches. Loved it. BTW, if you keep traveling WITHOUT your kids, we’re gonna have to change your name to LuxuryTraveler. Hey there – glad to hear you’re headed this way to TCI – let’s connect when you’re here in Grace Bay. What’s the best way to get in touch?